Membership in CES is open to any public school district in the state. Currently, school districts in both Hampshire and Franklin Counties have elected to join. Members pay dues, which enable them to access programs and services at a reduced rate. The cost of membership is determined by the total number of students enrolled in the district in the previous year. 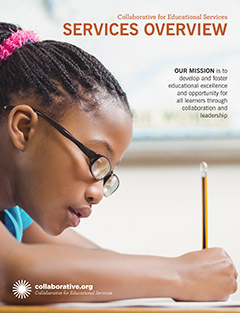 For an overview of membership benefits and the programs and services provided to member districts and their schools, download our member services brochure. CES Superintendent Steering Committees are comprised of the Superintendents representing Collaborative member districts, and serve in an advisory capacity to the agency. These two groups meet regularly. "I love this organization. Thanks for caring about our needs and providing great educational programs for us."